Production: KALIMA "for THE SWAMP CHILDREN"
Notes: Black die-cut sleeve with embossed gold-metallic and black sticker. 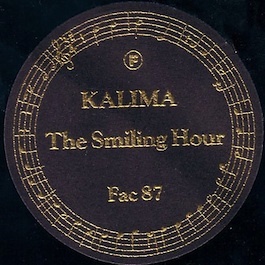 This was the first release by KALIMA (who were previously SWAMP CHILDREN. Backing vocals by the JAZZ DEFEKTORS.